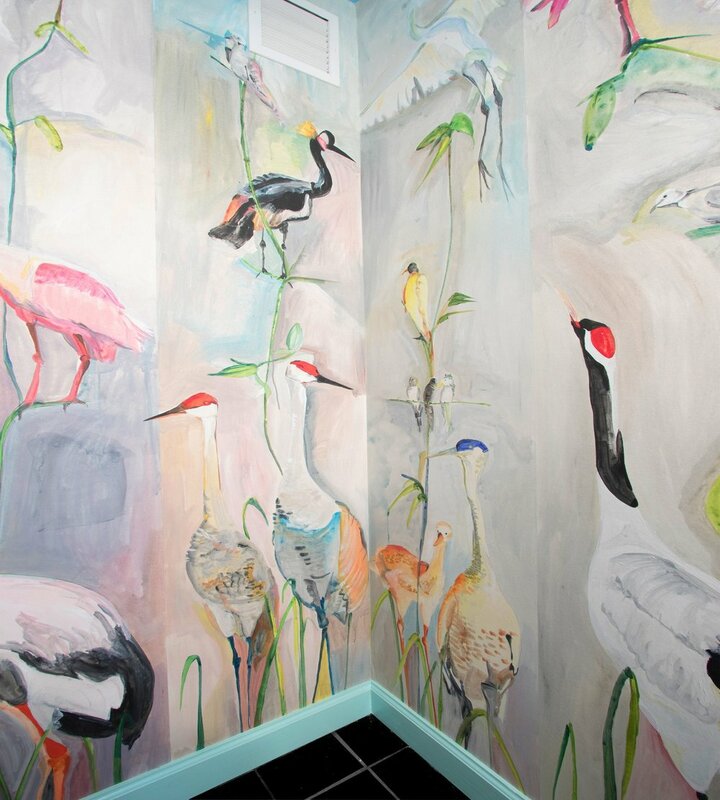 I have recently discovered and fallen in love with Gucci's Heron print wallpaper. Scattered dragonflies with herons elegantly at play on a pink background and it's Gucci! Fact is, I'm so in love with this wallpaper that I am planning to recreate my own version on my dining room wall. Simply, because I can and at $350 for 2 panels (W2.25ft x L11.5ft), I have no choice. Can't wait to start this project and will blog again with updates on this fancy diy. I am also inspired by the hand painted designs of Voutsa. I'm sure you have seen the the Garden Chinoiserie Mural sold by Anthropologie and featured in this delightful dining room designed Schuyler Stamperton in the June 2017 House Beautiful. I currently have a client that loves Stamperton's dining room and we are using images as inspiration for her dining room makeover. Updates soon to follow on mural and client's dining room makeover. Art and design is everything!